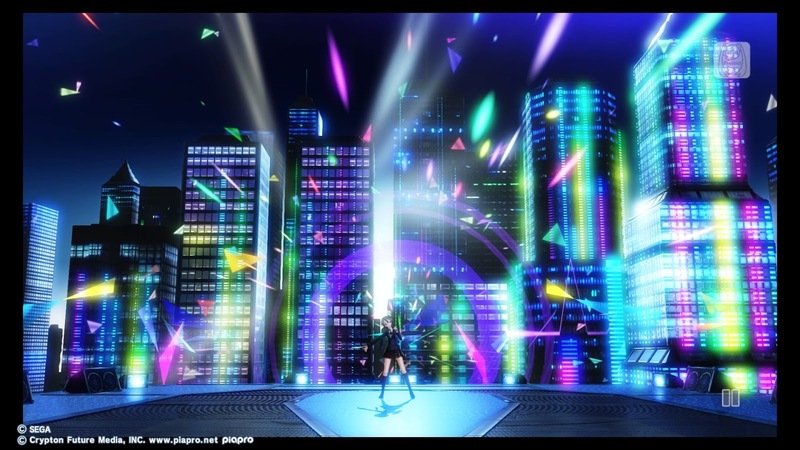 Last week I reviewed the excellent Hatsune Miku: Project Diva X. Releasing at the same time as the game is some paid-for DLC, and while I know this puts people off, I'm a fan of DLC in general in extending the life of favourite games. 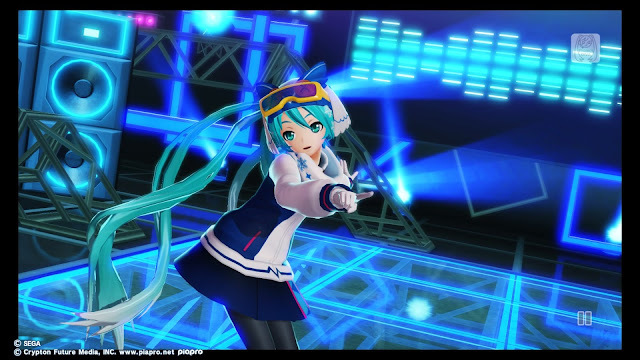 Related reading: Matt's review of Hatsune Miku: Project Diva X. Guess what? He loved it. So I thought I'd also take a quick look at some of the DLC that has launched with Project Diva X! None of this is essential in getting full value out of purchasing the base game, but for people that really enjoy themselves in the game, some of this DLC well help to add further longevity to it. From the outset there are two additional music tracks available as DLC: Sharing the World, and Hand in Hand. These are both excellent music tracks and well worth the purchase. Once purchased, they'll be added to the main story mode of the game, and you'll need to clear the track once to have it added to the score-attack "sub" section, which is the mode I prefer anyway. Of the two songs, Hand in Hand is a bona fide Miku hit, and absolutely essential to have on the play list. Sharing the World is more forgettable, unfortunately, and I can't see myself playing that one too frequently. The production on both clips is superb, however. 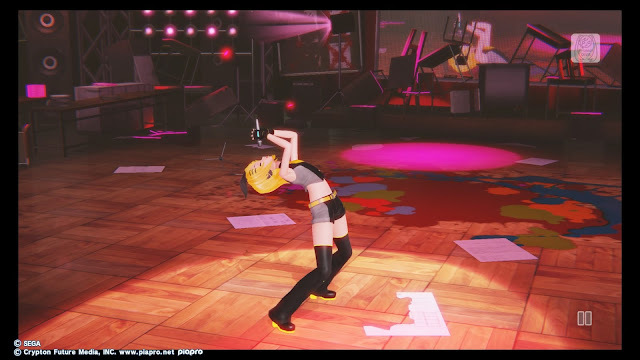 Each is accompanied with the standard clip of Miku dancing around, and as with all of the Project Diva X tracks, the quality of movement and choreography is quite exceptional. The main DLC here is the Snow Miku costumes, and every single one of them gets a run in the game. Now, you could argue that it's stuff like this that really should be included in the base game, and offering it up as DLC seems a little bit exploitative. But as someone who shelled out for all the DLC costumes in Project Diva F 2nd and then just ended up using the swimsuit, I'm probably more comfortable with this than most. In fairness, there is an overload of costumes in the base game as it is, and there's no essential reason to buy the Snow Miku costumes, so it's hard to begrudge SEGA for including the option to download some more for the fans. As with the main costumes, each of these costumes has a "type" and provides a boost in the associated music tracks that belong to that "type." They also provide a range of minor benefits, as all costumes do, but as with most of them these are so minor that I wasn't paying attention. What these costumes did best was provide a history of one of the most popular kinds of Miku costumes. Everyone loves the Snow Miku series - with each year bringing us one new "official" design as decided by a fan contest in celebration of the snowy wonderland that Miku comes from (Sapporo, in northern Japan). Having every year there to compare and contrast gives you an idea of the growing heritage and history behind the character, and that is meaningful all in itself. There are two other pieces of DLC that I really wanted to advice people away from buying: There's a DLC that unlocks all the costumes from the get-go, and another that unlocks all of the accessories. Look, I get that people are time strapped, and the random nature with which most costumes are unlocked makes the process of earning them frustrating at times. I know that feeling as well as anyone having gone through any number of times disappointed after spending minutes playing a track only to, at the end of it, come out without a new costume. But paying to unlock all the costumes is not the solution. Consider this: while a rhythm game never really has an end point, for most people the "end" comes when there's no new unlocks to make. Once you've got all of the costumes, the only reason to keep playing is a love of the game itself, and while you no doubt like the game enough if you're going to spend money to have all of it early, you are cutting out a significant chunk of the gameplay loop that its longevity relies on. So, don't do it. Enjoy the rewarding process of unlocking the costumes and playing around with the new ones, and the elation when you've finally earned an all-time favourite costume. I know I jumped for joy when I finally got the "Emerald" Chinese cheongsam in this game. 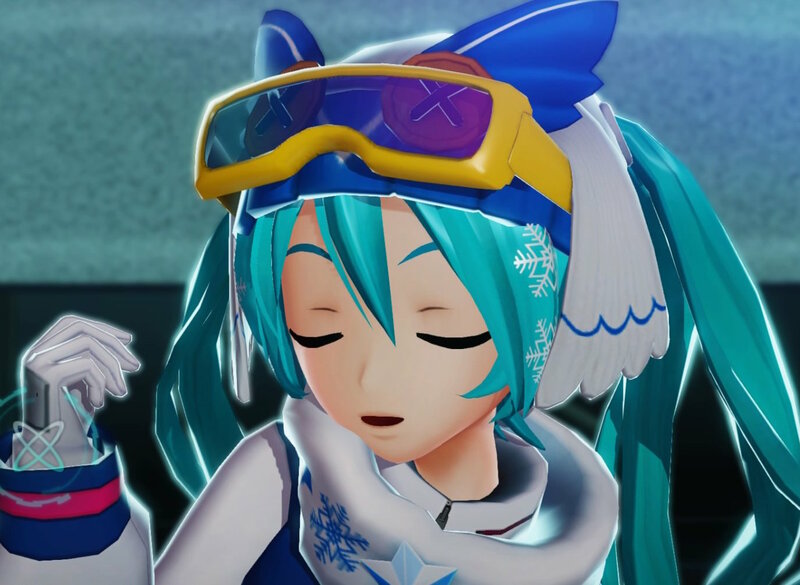 Hopefully Sega has more music tracks on the way, at least, because they're the ones that will add the most longevity to Project Diva X over the longer term. But, as additional value to add to the basic game that has just been released, I'd say we're off to a good start.